We have been involved in all aspects of the hotel barge and travel industry for over 35 years including designing, building, owning and operating our fleet of luxury hotel barges. 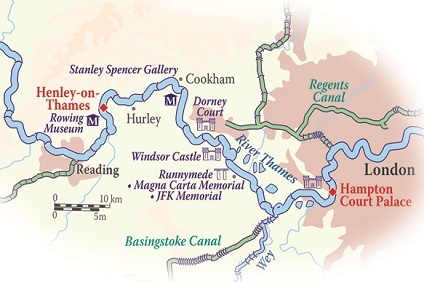 We have gradually refined our barge cruise holidays into unique travel experiences, which are just waiting to be discovered. On your all-inclusive cruise, your ‘floating boutique hotel’ glides gently along while you relax and enjoy gourmet cuisine, fine wines and the company of fellow passengers. 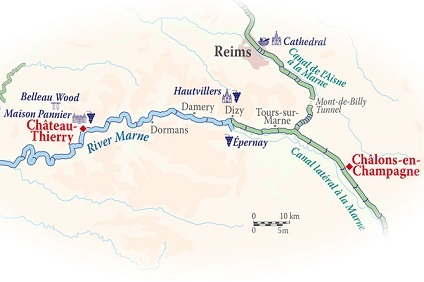 There will be guided tours to castles, chateaux, vineyards, markets and when you return to the barge, you can be sure our dedicated, professional crew will be there to look after you once more. 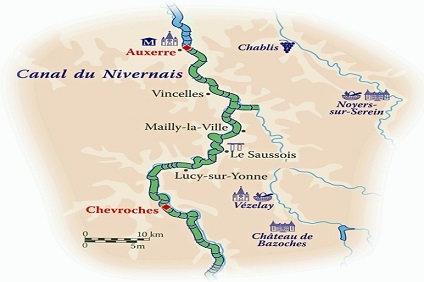 6 Night Cruise from Venarey les Laumes to Tanlay aboard La Belle Epoque. 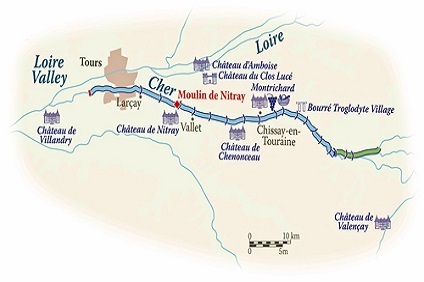 6 Night Cruise sailing from Auxerre to Chevroces aboard L'Art de Vivre. 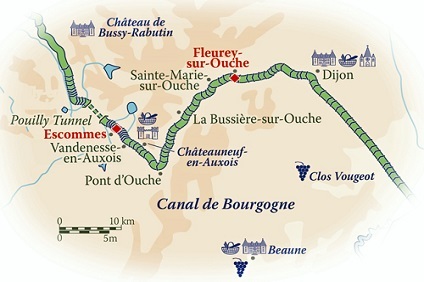 6 Night Cruise sailing from Fleurey Sur Ouche to Escommes aboard L'Impressionniste. 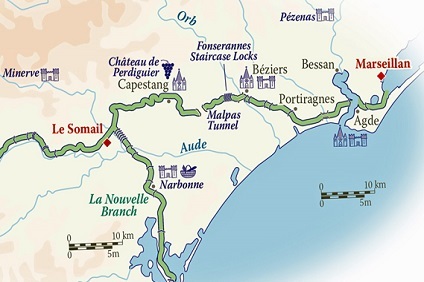 6 Night Cruise sailing from Le Somail to Marseillan aboard Anjodi. 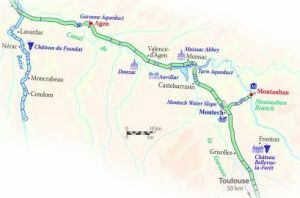 6 Night Cruise sailing from Montauban to Boe aboard Rosa. 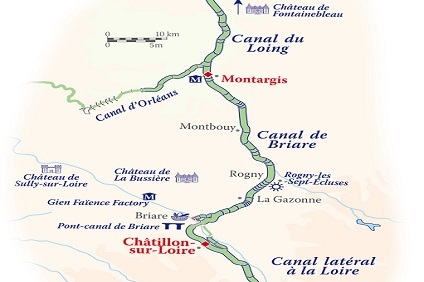 6 Night Cruise sailing from Montargis to Chatillon Sur Loire aboard Renaissance. 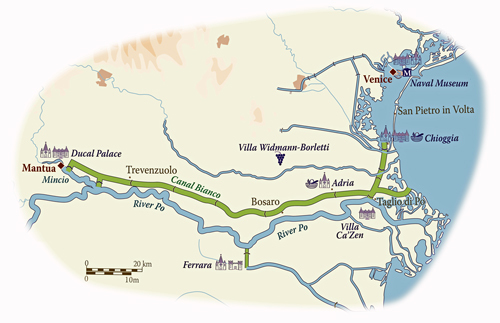 6 Night Cruise sailing from Venice to Mantua aboard La Bella Vita. 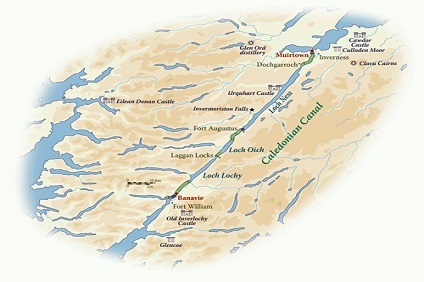 6 Night Cruise sailing from Muirtown to Banavie aboard Scottish Highlander. 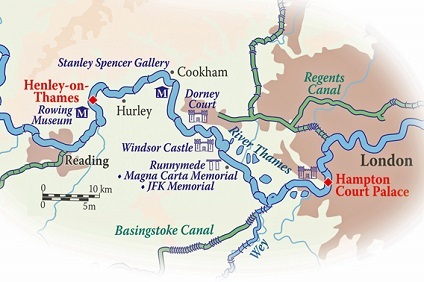 6 Night Cruise sailing from Hampton Court to Henley on Thames aboard Magna Carta. 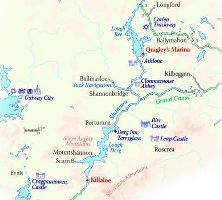 6 Night Cruise sailing from Glasson to Killaloe aboard Shannon Princess II. 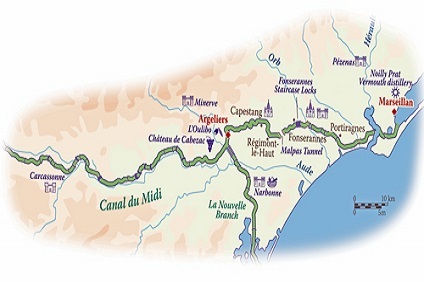 6 Night Cruise sailing from Argeliers to Marseillan aboard Athos. 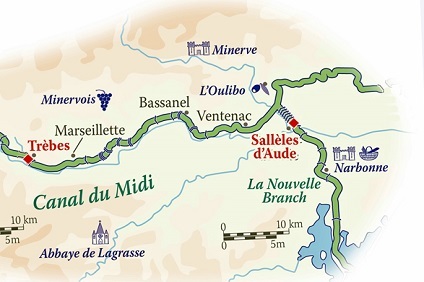 6 Night Cruise sailing from Salleles d'Aude to Trebes aboard Enchante. 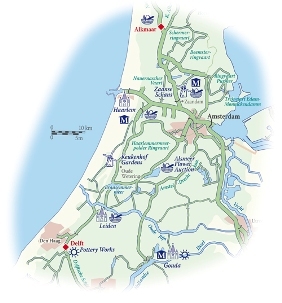 6 Night Cruise sailing from Alkmaar to Delft aboard Panache. 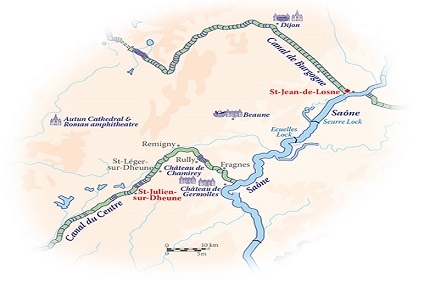 6 Night Cruise sailing from St Julien sur Dheune to St Jean de Losne aboard Finesse. 6 Night Cruise sailing from Banavie to Muirtown aboard Spirit of Scotland. 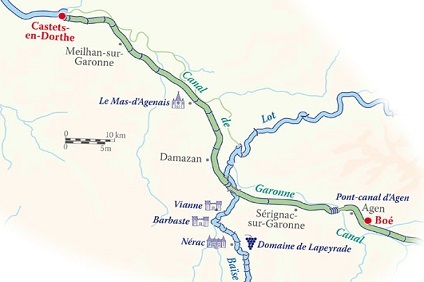 6 Night Cruise sailing from Chalons-en-Champagne to Chateau-Thierry aboard Panache. 6 Night Cruise sailing from Moulin de Nitray roundtrip aboard Nymphea. 6 Night Cruise sailing from Boe to Castet-en-Dorthe aboard Rosa. 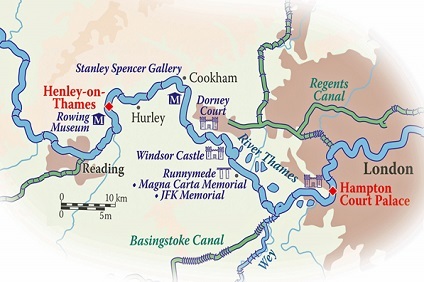 6 Night Cruise sailing from Henley on Thames to Hampton Court aboard Magna Carta. The classic traditions of French and International Cuisine - an unforgettable highlight of your cruise. Our chefs are experienced culinary artists, whose gastronomic creations are often rated higher than top restaurants and cruise liners by our discerning clients. Lunch will be a colorful arrangement of salads, pates, savoury quiches and a selection of cheeses. Accompanied by an excellent choice from the hotel barge wine cellar, lunch is often enjoyed on the sun deck, perhaps while cruising. Your chef supplements the vessel’s larder with fresh produce bought from lock-keepers' gardens or local markets and creates mouthwatering regional and national dishes which are only challenged in flavour by the delicious range of regional wines that are served aboard. Dinner is the culinary highlight of each day. Served by candlelight, each course is a delicious creation, subtly complemented with fine wines and still and sparkling water. This really does feel like the Grand Finale to an amazing day of exploration and intrigue, cruising the old trading routes which stretch from the Mediterranean right across Europe. Requests for vegetarian and special diets may be made the time of reservation. Any gratuities you wish to give are entirely at your discretion. For guidance only, our passengers normally tip between 5 and 10% of the cruise price if they are fully satisfied with the level of service.